Personal Investigations - Stillinger Investigations, Inc.
It’s difficult to know the right time to call a Private Investigator, or PI. If you are in one of the situations below, or if you suspect that you might be, it is the right time to call. We will help you determine if our services can help. 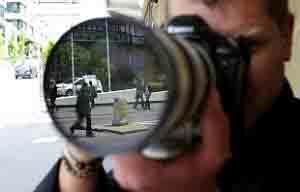 We understand that your need to hire a Private Detective is a very private matter, and we handle your case with extreme discretion. We also understand that this is a potentially painful and emotional time for you. We care about your situation and do everything in our power to help you find the truth and get back your peace of mind. BE WARNED: NEVER attempt to investigate someone on your own! You will put yourself at risk, and you are very likely to make obtaining the evidence you need impossible. Leave this to the Professional Detectives!